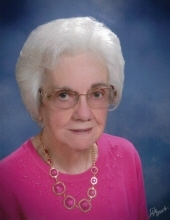 Westminster – Clara “Willine” Burns Pitts, 86, widow of Harold Calhoun Pitts, of 129 Pitts Road, passed away, April 1, 2019, at her residence. Born in Oconee County, SC, she was the daughter of the late Homer Burns and Guynell Smith Burns. Willine retired from Beacon Manufacturing after 35 years where she worked as a seamstress and was a member of Earle’s Grove Baptist Church. Survivors include a son, Harold “Ronnie” Pitts; daughters, Beverly S. Pitts and Clara Jean Gillian (Danny); brothers, Roy Burns (Margie), Clinton Burns (Kathy); sister, Joyce Walden (Bill); and one grandchild. In addition to her husband and parents, she is preceded in death by a brother, Homer “Buck” Burns; and a sister, Bessie Bunch. A funeral service will be held at 2 pm, Thursday, April 4, 2019 in the Chapel of Sandifer Funeral Home, the family will receive friends 12:00 – 1:45 prior to the service. Burial to follow at Heritage Memorial Gardens. To send flowers or a remembrance gift to the family of Clara "Willine" Pitts, please visit our Tribute Store. "Email Address" would like to share the life celebration of Clara "Willine" Pitts. Click on the "link" to go to share a favorite memory or leave a condolence message for the family.